It is no secret, if you have read any Orangechair posts, that I wanted NBC’s Awake to be the greatest show of the season. I thought the concept was brilliant and that the show had nearly endless potential. It is also no secret that not only is Awake not the greatest show of the season, it is also being cancelled. 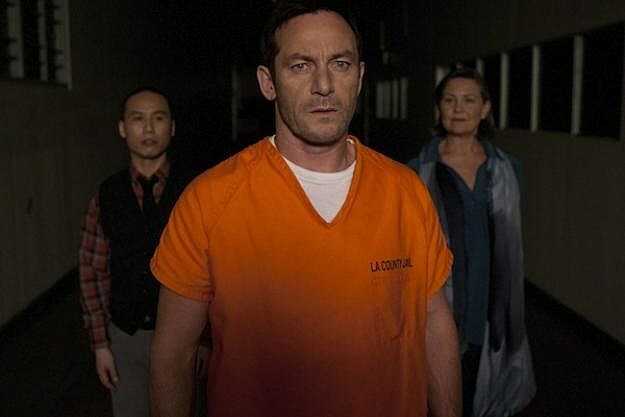 For those of you that haven’t seen the show, it follows Detective Michael Britten (Jason Isaacs). After a terrible car crash with his family, Michael’s world is torn in two. In one world, Michael’s wife survived the crash and his son did not. When Michael goes to sleep in that world, he wakes up in another where his son survived and his wife did not. The show focuses on Michael as he tried to not only understand what his mind is doing but also understand about his car crash and the truth about who he is. I have identified four fundamental mistakes that took the great idea of Awake and turned it into a cancelled show. Rather than just listing the problems, I’m also going to give you a way that I would try and remedy the mistakes. I have no right to complain about the show if I haven’t thought up ways to fix it. Problem 1: Awake started with an amazing episode that introduced the audience to the Michael Britten’s life apart and the two worlds that resulted from it. After jumping in head first and challenging the audience with some fairly advanced psychological ideas, the show hit the brakes. For the next couple of episodes, the show takes on a Law and Order, cookie cutter type style. In each episode, there is a crime in each world and Michael uses information from both worlds to solve both crimes. There is no development of an overarching plot, just crimes to solve. My Fix: The show wasted too much time focusing on Michael trying to cope with his situation rather than trying to understand it. Episodes that allowed more insight into Michael’s condition like “That’s Not My Penguin” or “Ricky’s Tacos”, should have been interspersed with the episodes that did nothing to further a continuing story line. Problem 2: The show eventually did focus on understanding Michael’s psychological problems but did not develop them enough. Episodes consisted of Michael having hallucinations or being stuck in one world, aspects of the psychological problem that can be developed. The problem is the show does not develop them further than a single episode. My Fix: Tie these odd occurrences together and don’t just blame them on Michael’s need to cope with the situation, which is how most of the bizarre occurrences were explained. The penguin hallucinations and Michael being unable to travel from world to world should not have been swept under the rug after one episode. These oddities should have been reoccurring to help develop Michael, his condition and the show’s storyline in general. Problem 3: One thing the show did that I loved was spend somewhere near half a season building up the cause of Michael’s accident and his condition. Taking away his memory of the crash served perfectly to build up mystery but the show didn’t stop there. The show involved Michael’s bosses and a couple of dirty cops, allowing them time to talk on screen about the crash as if they had some added knowledge about it that the audience did not. The show also, at one point, added a criminal that seemed to be similar to Michael. The criminal seemed to not only have knowledge that Michael existed in two worlds but he also seemed to be in a situation similar to Michael’s. The show was building up the crash and the condition into something big and unique. I was expecting something otherworldly or at least some type of an experiment that was done to Michael, maybe that was my fault for misreading the build but that’s what it felt like it was building to. I found myself to be very disappointed when it turned out the police caused the crash to try and kill Michael so he wouldn’t reveal that they were dirty. My Fix: Personally, I would have preferred the cause of the condition to be supernatural or the result of an experiment. No matter what your preference, whether you want the cause to be otherworldly or you’re rooting for Michael to just be crazy, the show needed to make a decision. Building to something unique only to have the cause of the crash and condition be dirty cops trying to kill Michael was downright disappointing. Problem 4: Whether Awake fumbled its series finale because it scrambled to change the end when it found out it was being cancelled or it just had a bad ending, the last five minutes of the finale hurt the show. Rather than giving us an explanation, the show throws Michael through a wild self-realization that results in both worlds being stripped away. With no real explanation of what’s happened, Michael escapes both worlds and somehow wakes up in one where both his wife and son are alive. My Fix: As of right now I’m not really sure what happened with the finale. Is Michael’s son dead? Is his wife dead? Are they both dead? Is Michael himself dead? Or is he just crazy? Was it all a dream? Who knows because the show alludes to any and all of these things happening. Rather than giving us an answer, we were given a happy ending. While that’s nice, it’s not what an audience needs. The show should have either developed an ending that alluded to a next season or created a happy ending that also gave an explanation as to what was happening. As sad as I am that this how isn’t coming back, I do understand why it got cancelled. The show structure had some major flaws that needed to be fixed for it to be a smashing success. I told you what I would do to fix the problems that I saw, now it’s time for you to let me know how you would fix it. Hopefully, the next time NBC comes across an amazing show concept they can make it last for more than one season. Awake: What Are You Doing?!?!? “So tell me how this works. I’m awake with my wife, when I close my eyes I open them, I’m awake with my son. This show has been on for nine weeks now and I am still trying to figure out where it’s going. Each new episode brings about disappointment and excitement in equal waves. As the s how continues to follow the two cases an episode format I become more disappointed. Each new episode presents two new cases, one in each of the worlds that Michael Britten (Jason Isaacs) believes he is living in. As he goes to sleep in one world and wakes up in another, he finds connections between the cases that allow him to solve them both. The consistently seems in danger of turning into a psychological Law and Order which bothers me immensely because the story concept is way too good to fall into such a generic, cookie0cutter style of television. Though I’m disappointed with the general structure of the show, it is starting to give me the continuing story line that I crave. The show has done a great job expanding on Michael’s relationship with his wife and son even though both of them are dealing with a loss that Michael does not quite understand. The show is going bigger however, focusing more on Michael’s psychological/supernatural problem in addition to his changing relationships. Already they have eluded to the fact that Michael’s boss and Michael’s boss’ boss had something to do with his car crash. This plot line is not only continuing but will be accelerating during the next episode. What I thought was brilliant in the most recent episode was the show’s exploration into Michael’s multiple universes. The episode’s crimes center around the outcome of a football game. In one world, a field goal was scored to win the game. In the other world, the field goal was missed resulting in the other team winning. In each world, each event happens slightly differently. When his son Rex (Dylan Minnette), tells Michael that he got his girlfriend pregnant before the crash but she lost the baby, Michael decides to follow a hunch. Things happen slightly differently in each world and in the world where Rex has passed but Michael’s wife is still alive, the baby survived. This astounding and rather brilliant plot twist opens the door for any number of future twists. What does this mean for Michael and his wife? More importantly though, what does this mean for the connections forming between Michal’s two worlds? have slightly hinted towards in an earlier post (Awake Finally Arrives), I have been waiting for a very long time for this show to air. As tends to happen when one waits for something, I built up some fairly large expectations for the premiere. Somehow that I cannot imagine, considering the expectation size, this episode managed to live up to my wildest dreams. It was the premise of the show that originally sparked my obsession with it. 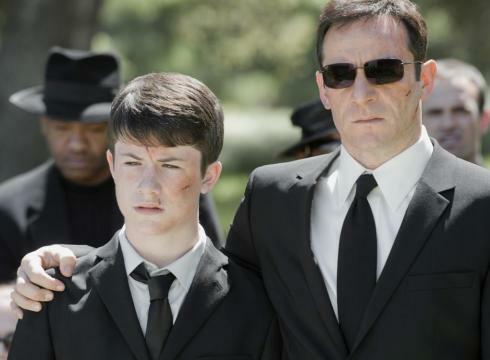 The show follows the life of Detective Michael Britten (Jason Isaacs) after surviving a tragic car crash with his son, Rex Britten (Dylan Minnette), and his wife, Hannah Britten (Laura Allen). When the audience meets Michael, he is living two lives. In one life, his wife survived the crash but his son did not. In that world he goes to sleep and when he wakes up he is living a completely different life where his son survived and his wife passed away. Each time he falls asleep he wakes up in the other reality, making it so that Michael Britten does not know which world is real and which world is a dream. Already the show has introduced a number of possible side plot lines that could evolve as the show progresses. To help keep things straight, Michael wears a green rubber band on his wrist when he is awake in the world where Rex is alive and a red rubber band in the world where Hannah is alive. To make things easier, I am going to use the same idea and called the two worlds Red World and Green World. In Red World, Michael has confessed to Hannah everything that is happening when he falls asleep. They talk about it sometimes but Michael’s insistence that both worlds are real becomes too devastating for Hannah. In each world, Michael is seeing a therapist and already, within the first episode, the therapists are battling through Michael. Each therapist attempts to convince Michael that the other one is a fake and with every new visit, each therapist needs to one up the other. More issues appear in each world as in the Green World, Rex is attempting to make his tennis coach a replacement for his mother while pulling further and further away from his father. In the Red World, Hannah wants to move to a new house and start trying to have another child. Michael is a detective in both worlds and in each world he has a different case and a different partner. Details from the cases begin to cross over and somehow hold importance in both worlds. To top it all off, though he insists he didn’t have anything to drink, Michael’s toxicology report in both worlds suggests that he had ingested some alcohol the night of the crash. The pilot integrates and slightly develops each of these plotlines all while focusing on the most interesting issue of all: the psychology of Michael Britton and his unique situation. The depths at which you can delve into this show are so vast that they are almost overwhelming. The actors and writers have created a cast of very real characters that do a fantastic job of making such a tragic tale. The episode managed to be quite devastating without creating scenes that beat you over the head with sadness. The show managed to be subtle and powerful at the same time, striking a balance that left the audience quite satisfied. Michael Britton, for me, became quite an admirable character. At first, the fact that he basically refuses to try and fix his duel world problem made him seem like a very insane person. As we get to know Michael better, it becomes clear that he truly believes that both worlds are real and as far as he is concerned that is the way he wants to live. Michael makes it obvious “if the price of seeing them or feeling them, of having them in my life is my sanity, it’s a price I will happily pay. Trust me, when it comes to letting one of them go, I have no desire to ever make progress.” The show is worth watching for the evolution of Michael’s character, let alone all the other amazing performances and aspects they managed to pack into the first episode. Rising to my insane expectations, this show has the potential to become something truly great. Real characters, an amazing script and great acting support a unique premise to create a brilliant show. The pilot episode has left open a number of different facets for the show to create multiple plot lines and the preview of the season as a whole that played after the show proves it will follow many of them. The preview also showed us clips of a number of mysterious characters that seem to know more about the circumstances of Michael’s crash than anybody else. Whether the show is going to stay strictly psychological or if it is going to start introducing some supernatural or religious elements I have no idea but the show is going somewhere great. I give the first episode of 9 out of 10 and strongly urge anybody reading this to watch it. The show is available on both Hulu Plus and Comcast On-Demand and is well worth making time to see. Thursday March 1st: Awake Finally Arrives!!!! Not many people know this but the network NBC has been torturing me for months now. I’m not exactly sure how long ago it was that I saw the trailer that I have posted above these words but I’m fairly certain it was over a year ago. What I am certain of is that fact that I fell in love with this show five seconds into the trailer. I spent months scouring the Internet for any clue as to when Awake would air and found nothing. Back in August 2011, I was certain that it would premier during the Fall Season but nope, no sign of Awake. Logically, my next thought was that the show would air after the winter break, possibly replacing a show that didn’t catch and was canceled. Much to my disappointment, the show once again was not aired. I was beginning to lose hope until an add for Awake played during the Superbowl, saying that the show was to begin in March and now today, during NBC comedy night, the network finally told me that the pilot episode is going to air on Thursday March 1st at 10, 9c. If my little story about waiting for Awake didn’t clue you in, I am unreasonably excited for this television show. 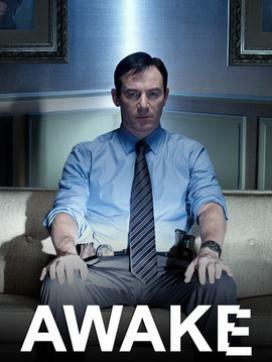 There isn’t a television trailer in memory that has looked more promising than Awake. The concept for the show is incredibly unique. A man gets in a car crash with his wife and son and when he recovers, he is living in two worlds. In one world, his son is alive but his wife passed away in the crash. When he goes to sleep and wakes up he is in the other world, where his son did not survive the crash but his wife did. It is difficult to accept the amount of potential this show has. Beyond the physiological aspects of what is happening in the man’s head, the show’s plot can go in a number of different ways. It can stay strictly psychological or it can take a turn for the supernatural. Either way, I cannot wait to see what they do. I strongly urge anybody reading this to tune into NBC in two weeks for the pilot episode and if you miss it, you can be certain I will post to let everybody know how it is.